Supreme Court nominee Brett Kavanaugh testifies before the Senate Judiciary Committee on Thursday. The Senate Judiciary Committee later asked for President Trump to put the FBI back on the case, and he ordered a limited, one-week investigation of Ford's accusations. Senate Majority Leader Mitch McConnell said he will "keep the process moving," although a final vote won't be held until the FBI finishes its inquiry. Citing the ABA's "respect for the rule of law and due process," ABA President Robert Carlson wrote in a letter to the Judiciary Committee, "The basic principles that underscore the Senate's constitutional duty of advice and consent on federal judicial nominees require nothing less than a careful examination of the accusations and facts by the FBI." Later, Judiciary Committee Chairman Chuck Grassley released a letter by the ABA's Standing Committee on the Federal Judiciary, which said its members were not told in advance of Carlson's letter, and the panel reaffirmed its well-qualified rating of Kavanaugh. The ABA committee is nonpartisan, its chairman, Paul Moxley, wrote. He noted that the nominee rating committee "acts independently of ABA leadership." Carlson sent the letter after the Senate committee heard testimony from both Kavanaugh and Ford — a hearing that gripped the nation on Thursday. The ABA had previously given a rating of "well qualified" to Kavanaugh when he was nominated in July. "Each appointment to our nation's highest court (as with all others) is simply too important to rush to a vote," Carlson told the committee, which voted along party lines on Friday to approve sending the nomination to the full Senate, although soon afterward it called for additional investigations. It is critically important, he said, that the Senate show it is committed to "a Supreme Court that is above reproach." While Thursday's hearing prompted the bar association to recommend an investigation, another group that had endorsed Kavanaugh went one step further: the editors of America: The Jesuit Review say his nomination should now be withdrawn. Even if the claims against Kavanaugh haven't been proved beyond a reasonable doubt, the magazine's editors said, "this nomination is no longer in the best interests of the country." None of the potential outcomes from the hearings are good, the editors said. Acknowledging that their support for Kavanaugh was based in part on his standing as a "committed textualist" who might help rewrite the Supreme Court's Roe v. Wade decision, the editors said his nomination is now woven into the discussion of how to treat women who report harassment and abuse. Other candidates for the high court are available, the editors said, concluding, "in a world that is finally learning to take reports of harassment, assault and abuse seriously, it is time to find a nominee whose confirmation will not repudiate that lesson." The responses follow a tense day of much anticipated testimony before the Senate committee, in which Ford recounted the alleged sexual assault 36 years ago and insisted she was "100 percent" sure that Kavanaugh was the perpetrator. Kavanaugh proclaimed his innocence, denying Ford's allegation again and vowing defiantly: "You may defeat me in the final vote, but you'll never get me to quit. Never." He said the Senate's confirmation process was a "circus" and "a national disgrace" and that it had replaced "advice and consent with search and destroy." "For 12 years, everyone who has appeared before me on the D.C. Circuit has praised my judicial temperament," Kavanaugh told the Judiciary Committee members on Thursday. "That's why I have the unanimous, well qualified rating from the American Bar Association." 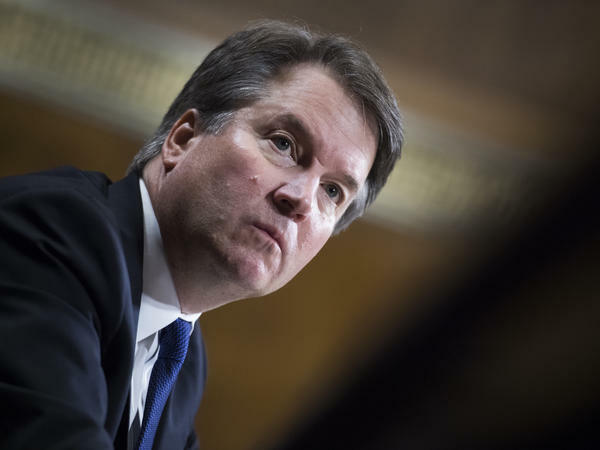 However, despite being pressed repeatedly by Democrats to call for an FBI investigation into the claims of Ford and others, Kavanaugh declined to do so, saying instead: "I welcome whatever the committee wants to do." The ABA's letter warned, "Deciding to proceed without conducting additional investigation would not only have a lasting impact on the Senate's reputation, but it will also negatively affect the great trust necessary for the American people to have in the Supreme Court." As the Associated Press notes, "Republicans are concerned, among other reasons, that further investigations could push a vote past the November elections that may switch Senate control back to the Democrats and make consideration of any Trump nominee more difficult." Following Thursday's testimony, Trump — who a day earlier had defended Kavanaugh but left the door open that he might reconsider his support — praised the nominee. "His testimony was powerful, honest and riveting," Trump tweeted. "The Senate must vote!"